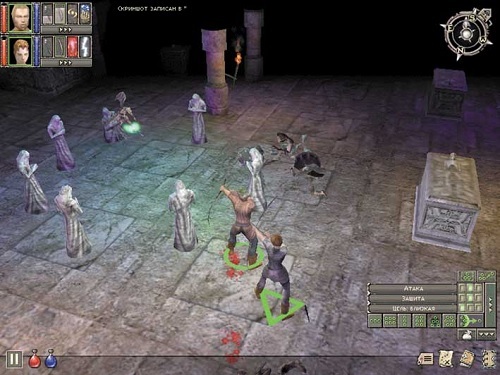 Dungeon Siege is the first game in the popular series of role playing games and was released in 2002. An expansion pack for the game titled Legends of Aranna was released a year later. Dungeon Siege is set on the continent of Aranna and has players assuming the role of a simple farmer. That is until the player and their farm are attacked by a group of savage creatures known as Krug. The player isn’t the only one to be attacked though and the players quickly find themselves being the hero as they adventure across the land to rid Aranna of evil. This journey takes players through a number of environments and features fights against a range of fearsome foes. During your adventure players will meet other people that have been affected by the changing game world and decide to join the player in their fight. 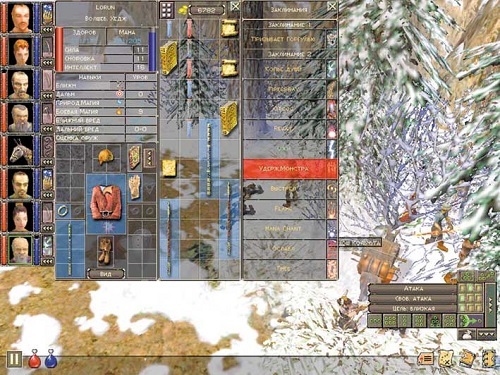 Players are able to control their fellow adventurers in a tactical style. When not issuing orders gameplay follows a point and click combat formula similar to the Diablo series. Players can mix and match adventurers that they meet along the way or use their party slots for mules to carry more items. The story and questing is very linear in Dungeon Siege but there is plenty of variety in the types of quests you’ll be accepting so it never gets boring. Dungeon Siege set some very solid foundations for the series and offers a great adventure from farmer to hero that strikes an enjoyable balance between party management and action role playing. If you’ve played the other games in the series and are looking to return to the roots of the Dungeon Siege franchise or a newcomer to the series you’ll enjoy what the game has to offer. First game in the popular Dungeon Siege series. Blends party management with action RPG. Enjoyable adventure from farmer to hero. Explore the variety of environments that Aranna has to offer. Available on PC and Mac.